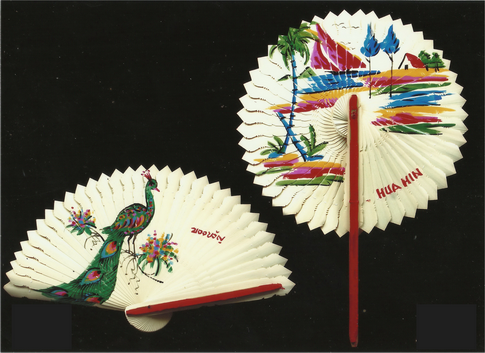 Ponsuk Community Group... for handmade and handpainted fans! In the heart of Hua Hin’s ‘evening entertainment’ zone lies a beacon of hope for the enduring spirit of community and efforts to earn a living, through honest hard work. 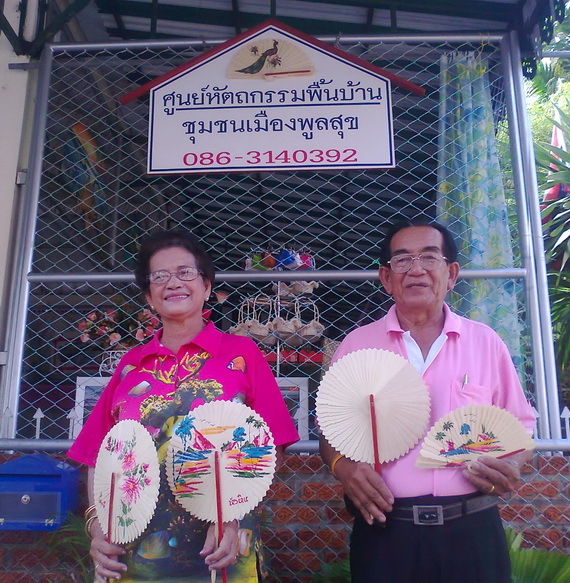 Khun Darunee and the members of the Ponsuk Women’s group craft and paint simple, wooden fans, which are on sale for Thai and international guests. The work is earthy and simple, but the fans make a nice, small gift and support a good cause.